Everywhere you turn in this 1,200-acre greenbelt on the City’s northern waterfront, you’ll find endless options for relaxation and stimulation. This former military installation, with its jaw-dropping view of the Golden Gate, is headquarters for the National Park Service and the Golden Gate National Parks Conservancy. A lush meadow slopes down to the the waterside Fort Mason Center where on any day or night you’ll find museum shows, fairs, dining, theaters, seminars, a hostel for visitors, and more activities than you can imagine. 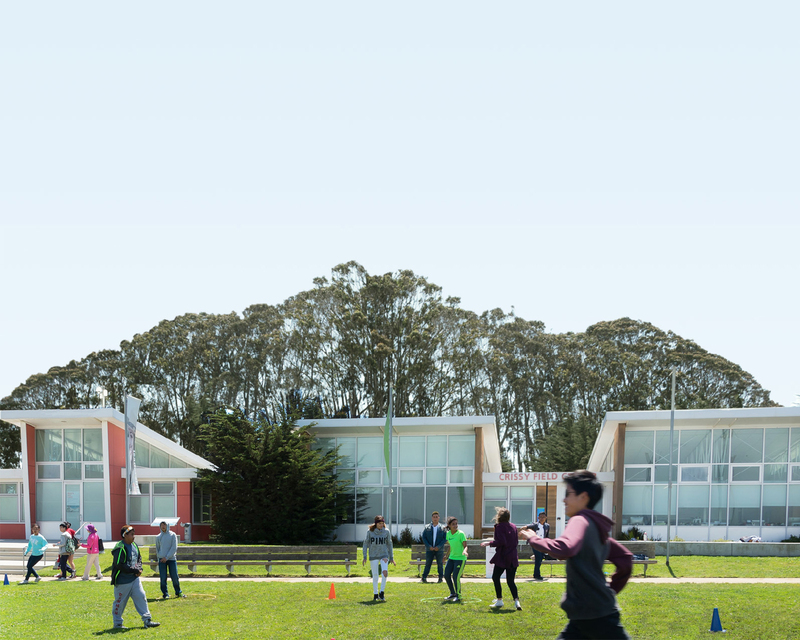 Building 201—the three-story structure in upper Fort Mason that houses park and Conservancy headquarters—also features a staffed information desk that offers park maps and guides. Check out the repurposed piers and warehouses of Fort Mason Center, home to over 30 distinct environmental, cultural, and arts organizations; refer to the Center’s weekly calendar for events or exhibits that interest you. Don’t forget to check out the great restaurants, too. Stay in the Fisherman’s Wharf Hostel located in upper Fort Mason—one of the best lodging deals in San Francisco! In the Great Meadow, look for the larger-than-life-size statue of Congressman Phillip Burton, who sponsored legislation that created the Golden Gate National Parks in 1972. Paid parking is available at Fort Mason Center, entrance off Marina Boulevard. When the Civil War broke out in 1861, San Francisco’s defense rested solely on Fort Point and Alcatraz. The Union bolstered those defenses with three temporary emergency fortifications, including Black Point Battery. Its cannons and guns were never fired at the Confederates. After the famous 1906 temblor, tents of earthquake refugees dotted Fort Mason’s Great Meadow. Thousands of homeless people received care at Fort Mason, which served as the headquarters for army relief field operations. Lower Fort Mason was the nerve center of wartime embarkation operations between 1910 and 1963. During World War II, 1.6 million men and 23 million tons of cargo passed through the facilities on their way to the Pacific theater. Fort Mason’s long history as an important West Coast military and transport hub can be seen in the Civil War-era hospital that serves as the National Park Service and Parks Conservancy headquarters, the cannon and batteries on its bayside flanks, and the long WWII shipping warehouses that now host businesses, restaurants, and events at Lower Fort Mason. The Parks Conservancy has worked closely with the National Park Service for years on a wide range of projects to help repair Fort Mason’s roads, rehabilitate its buildings, and improve its trail system—including key accessibility and safety upgrades. A project to create orientation kiosks as well as interpretive Fort Mason history walk waysides has helped share this site’s stories with the thousands of visitors that come through each day. Community volunteers also help maintain and restore its historic landscapes.